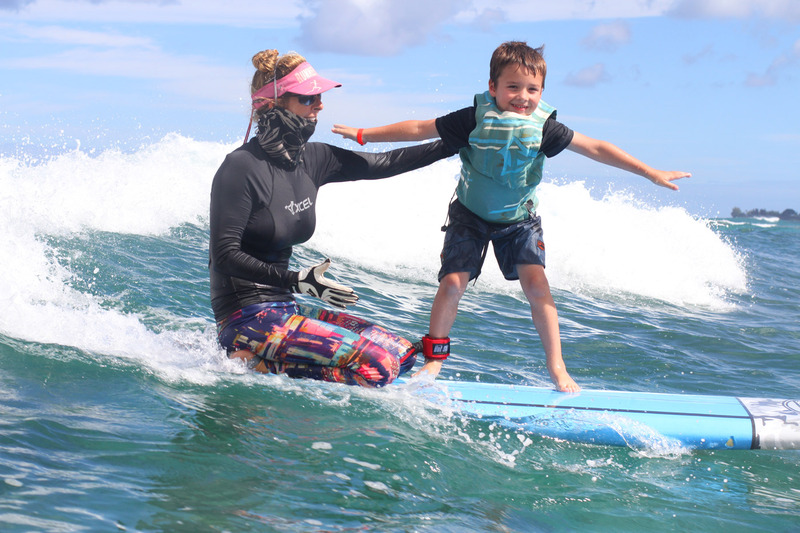 Carol Philips founded North Shore Surf Girls with the goal of providing an inclusive, fun and safe experience for people of all ages, from all over the world, to learn how to surf. Growing up on the North Shore she fell in love with surfing and discovered it to be both thrilling and intimidating. 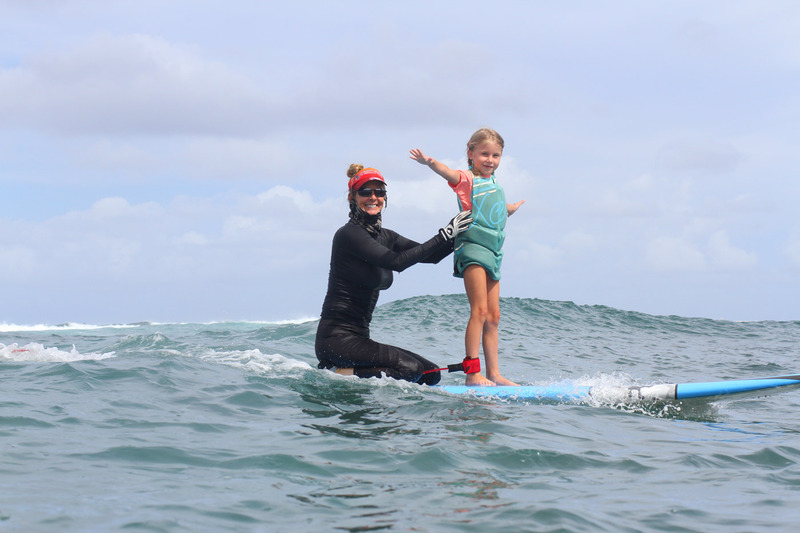 North Shore Surf Girls are here to take away the intimidation factor and focus on fun by teaching you what the protocol is for board responsibility, how to look for currents and most importantly how to get up on your feet and ride a wave! Time is our most precious gift. Make the most of your visit to Oahu by learning to surf with instructors who care and love to share Hawaii’s gift to the world. 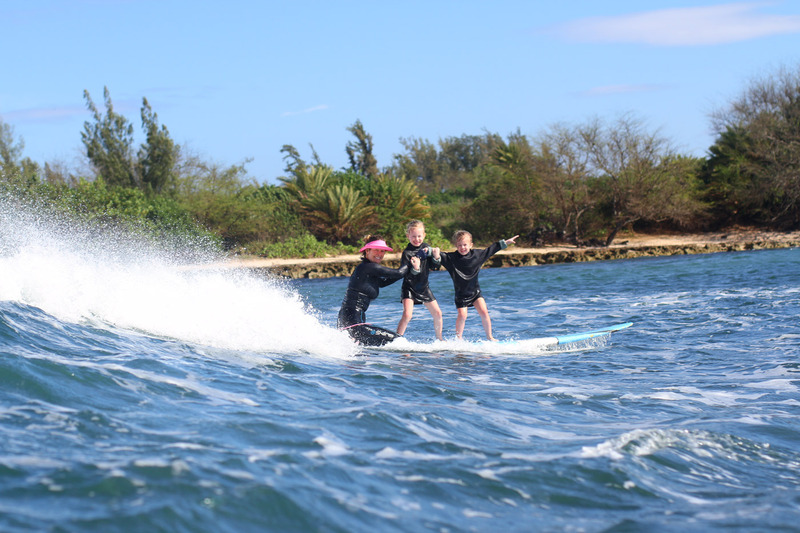 Our professional instructors at North Shore Surf Girls are the best at what they do because they have the time and experience it takes in the waters around the area to effectively teach others how to surf. 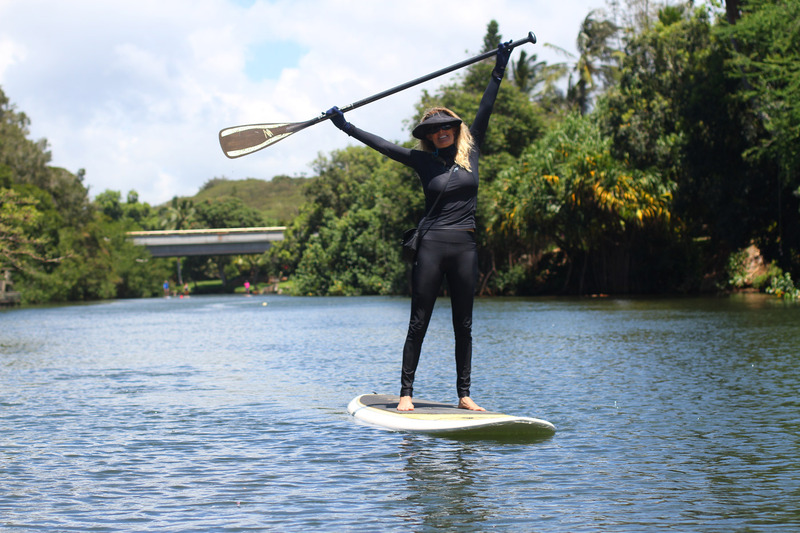 The North Shore Surf Girls are ocean women first, with experiences ranging form surfing Waikiki for fun, to surfing around the globe in competition, to surfing for film and television in movies and shows from Blue Crush to Bay Watch. 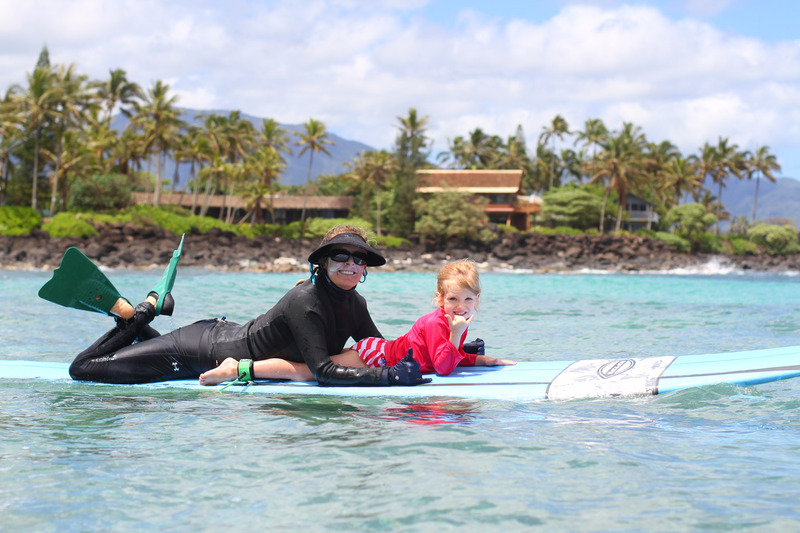 Our surf girl instructors share the gift of surfing because it is Hawaii’s gift to the world. We are committed to share that gift with all who come to our islands. All of our experienced professional instructors are lifeguard certified and qualified in CPR and First Aid Responder training. 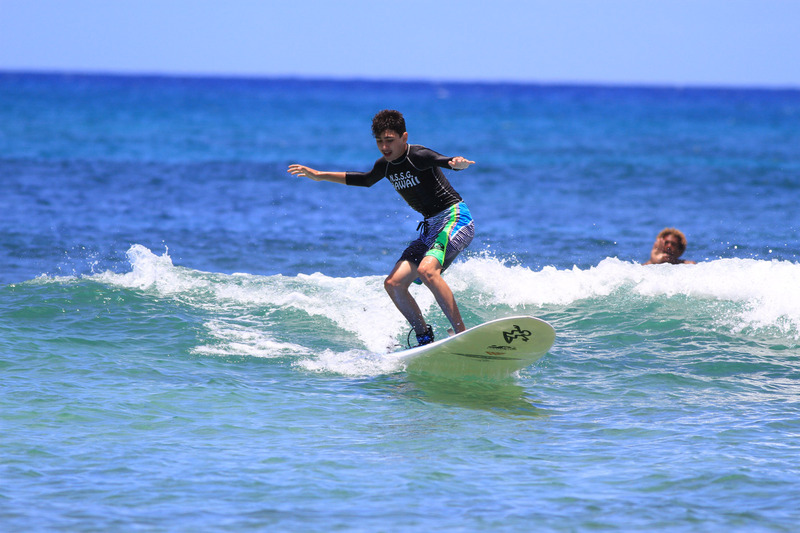 Whether they’re teaching surfing lessons on Oahu or surfing Waikiki all instructors are also trained on the various local spots in terms of current flow and the way the various waves break. 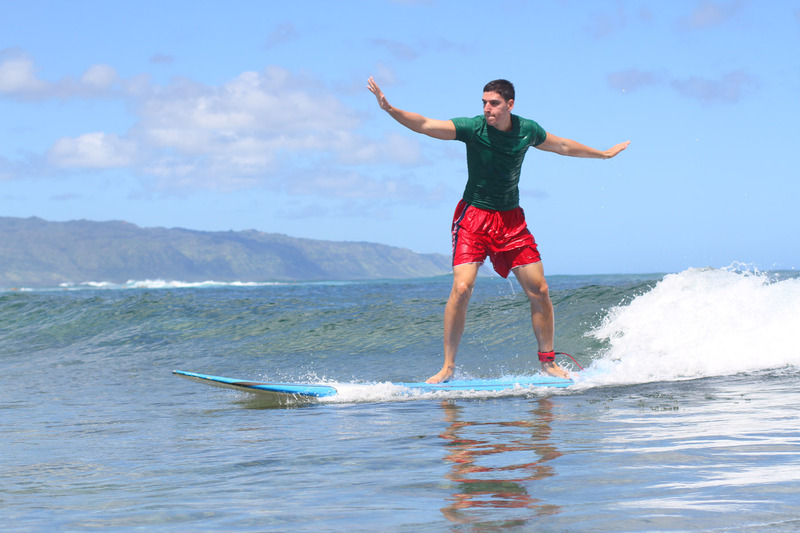 All instructors begin their surfing lessons on land with an explanation about surfing basics and safety. Men, women, boys, girls, groups, or family are all prepped on what the protocol is for board responsibility, how to look for currents, and most importantly how to get up to their feet and ride a wave! Once your Oahu surf lessons hit the water the instructors are right beside you helping you learn which waves to go for, paddle techniques, and the proper way to stand up. The North Shore Surf Girl surfing instructors hope to make friends for life with all who visit our surf school and Hawaii. 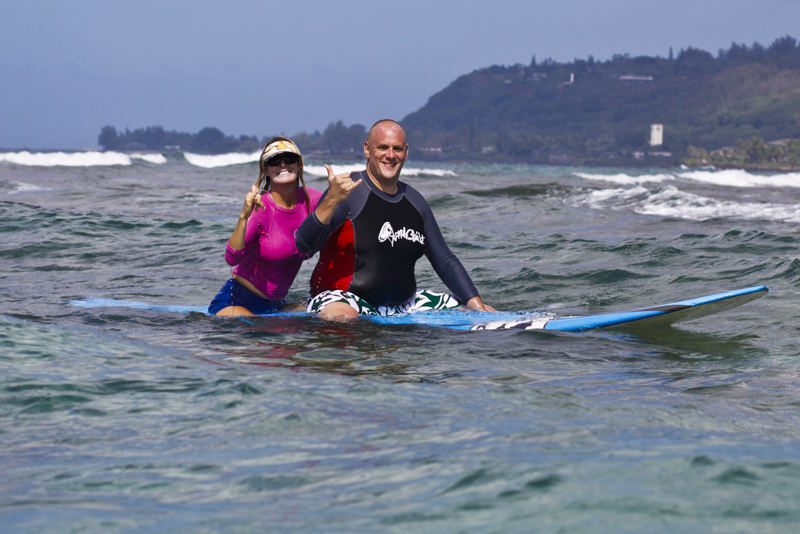 Get to know a few of our surf instructors as they share a little bit of themselves in hope of also sharing SURFING…Hawaii’s Gift to the World! 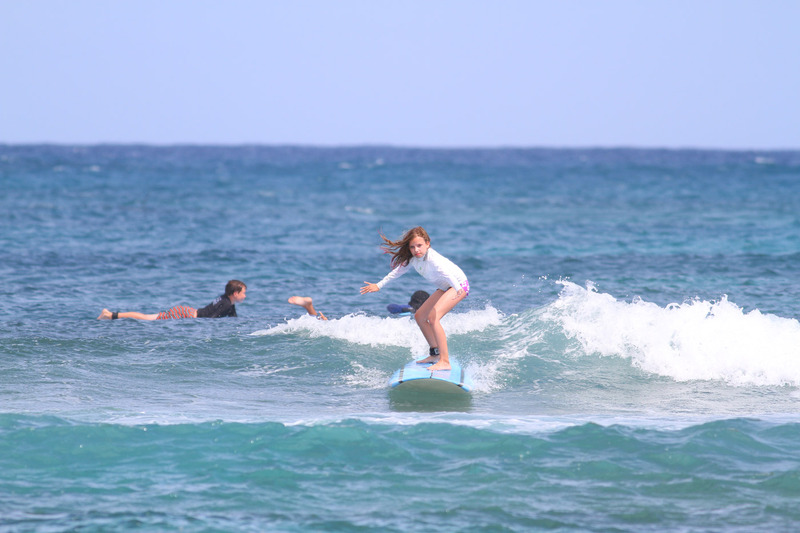 Our surfing lessons are instructed by our North Shore Surf Girl surf school instructors. The only Hawaii surf school where all surf lesson instructors are certified lifeguards. Our surf school also has the highest student to teacher ratio: You will never have more than 4 surf school students per instructor per surf lesson. 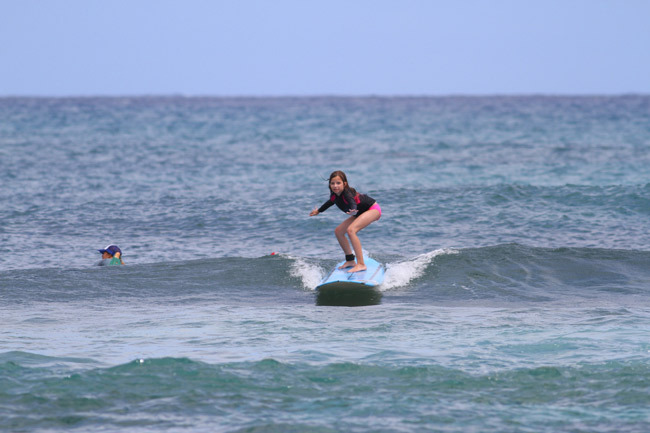 Book now or call 808-637-2977 for your North Shore Hawaii surf lesson with the North Shore Surf Girls surf school or surf camp, and have a safe, enjoyable, happy and fun local style experience! Mahalo. 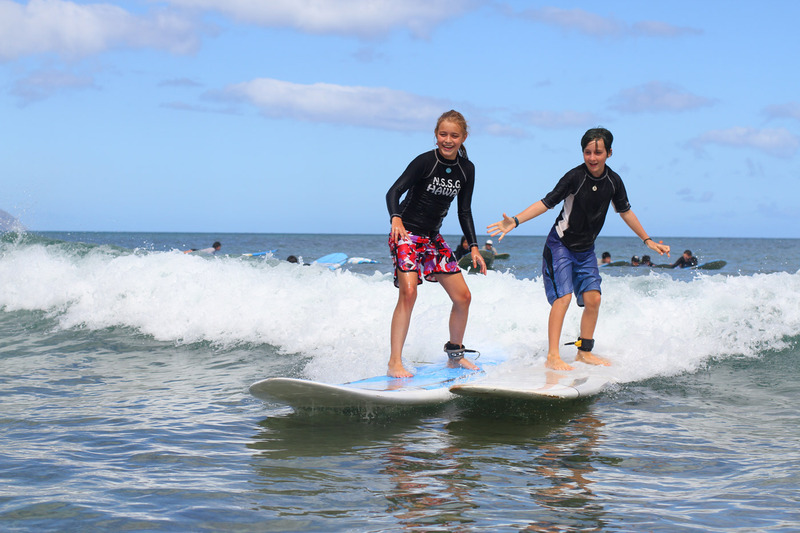 We offer surfing basic lessons in Hawaii to both individuals and groups including surf trips with kids and year round surfing lessons. There are also package deals that are arranged for special parties. 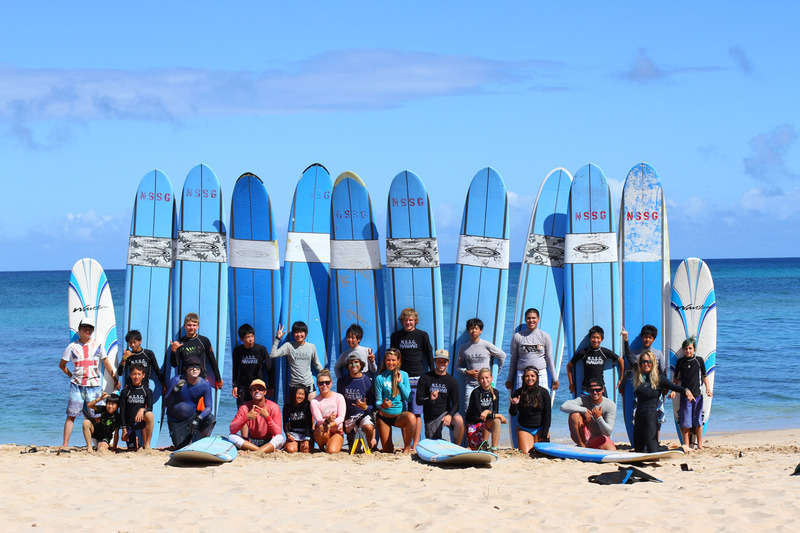 For those seeking to learn to surf NSSG is also staffed with multilingual instructors as well as Japanese surfing instructors. The surfing instructors at North Shore Surf Girls are qualified and experienced and are the right people to get you safely surfing! Aloha! My name is Carol, I believe that surfing is Hawaii’s gift to the world. I love to share surfing with my friends by giving surf lessons. I grew up in Hawaii and at the age of 14 on the North Shore, Oahu, I discovered body boarding and fell in love with surfing Hawaii’s big waves. I have competed professionally winning two National Championships – 1989 and 1991 and placed second in the World in 1992. In the 2000 World Surfing Games I placed 7th overall in body board surfing. I was the first woman in the world to compete at the Pipeline and I’m also the founder of the Women’s Pipe Championships on the North Shore Oahu, 2009 will be our 20th straight year of women competing at this most famous wave. I was featured in the chapter “Stepping Out” in the book North Shore Chronicles, by Bruce Jenkins and was the EVENT COORDINATOR – Carol Anne Philips in the movie Blue Crush. Coming of age on the North Shore has instilled in me a love of our community and a desire to protect it, as a consequence of this I have run for political office you can see my website www.carolcares.org. I also serve on my local community board and as Chair of the State Commission on the Status of Women. I’m happiest when I’m in the ocean sharing my love of surfing with people for the first time. Aloha and Welcome to the North Shore surf girls surf school. 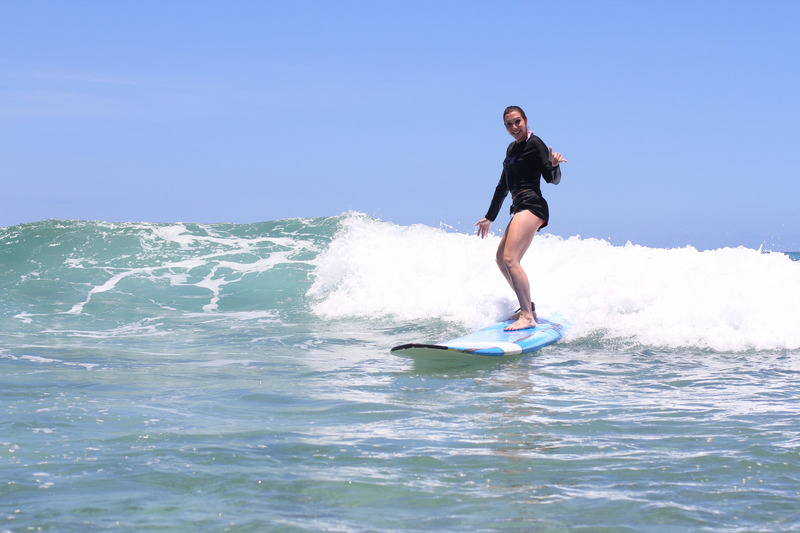 My name is Janna and I have been enjoying a life of surfing since age 10. Born and raised here on Oahu’s North Shore I am more than happy to share my knowledge and experience with you. Any sport in the water has been a common theme in my life since I was a small child, I have competed as a collegiate NCAA swimmer & water polo player, I enjoy paddling boarding, stand up paddling and of course surfing, anything in the water and I am hooked. Surfing is my passions and I would love to share that with you. Aloha and welcome to the North Shore! My Name is Christian, I am an all around waterwomen and first leaned to surf from my lifeguard parents when I was 2-years old. 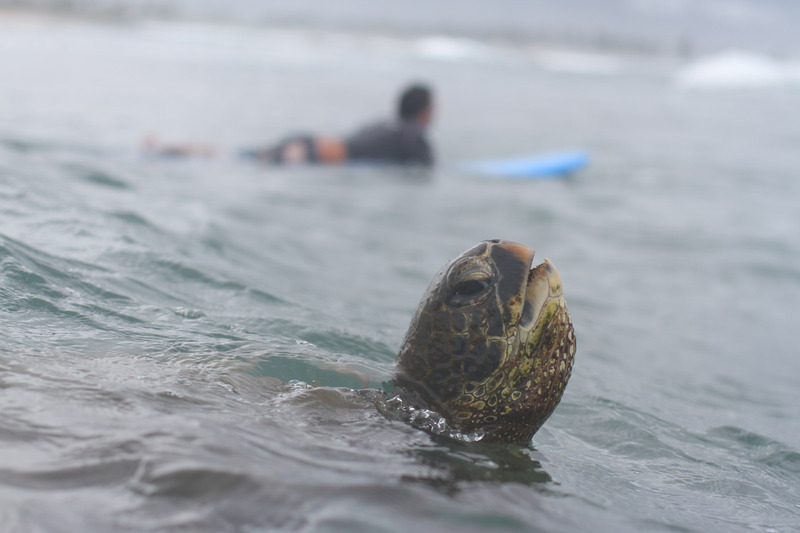 I was raised on Maui and moved to the North Shore of Oahu in 1990 to study marine biology and train Hawaiian monk seals at the Waikiki Aqurium. I have been surfing and competing on the North Shore since then. I have also traveled to Fiji, Indonesia, Australia and Mexico to surf and dive. 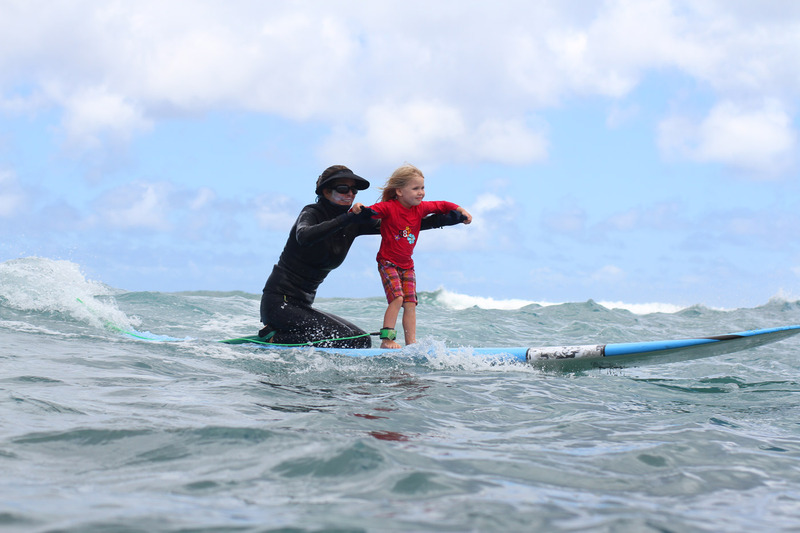 My specially is teaching children and I am the proud mother of a 5 year old girl and 7 year old boy both of whom started surfing before they could walk and have won numerous trophies. I love living and surfing on the North Shore and love teaching people to surf! will send you to a place you have only dreamed of…surfing Hawaii! Whether in Waikiki or the North Shore surfing is more than a board and a body in the wilderness, it is a mind set, and a cleansing. Teaching surf is our love. We use Hawaii’s gift to the world to live the best that life offers us by surfing Hawaii! I want to share the amazing feeling of surfing through our surf school. Theres more to life than concrete blocks and pollution, there’s surf, ocean, more surf, and our Hawaii home. BE FREE AND COME SURF WITH US, WE’LL TAKE YOU FOR THE RIDE OF YOUR LIFE! Aloha! My name is Beccy Cravens. I was born and raised in Southern California but have made Hawai’i my home for the past 5-years and couldn’t imagine living anywhere else for the rest of my life. I have been surfing and swimming since before I could walk. I feel so blessed to be able to surf the waves of the North Shore. I am currently a competing Stand-up Paddler or as some people call it “ocean sweeper” and just recently won 1st place in the 4 mile ‘SUP into Summer’ race. 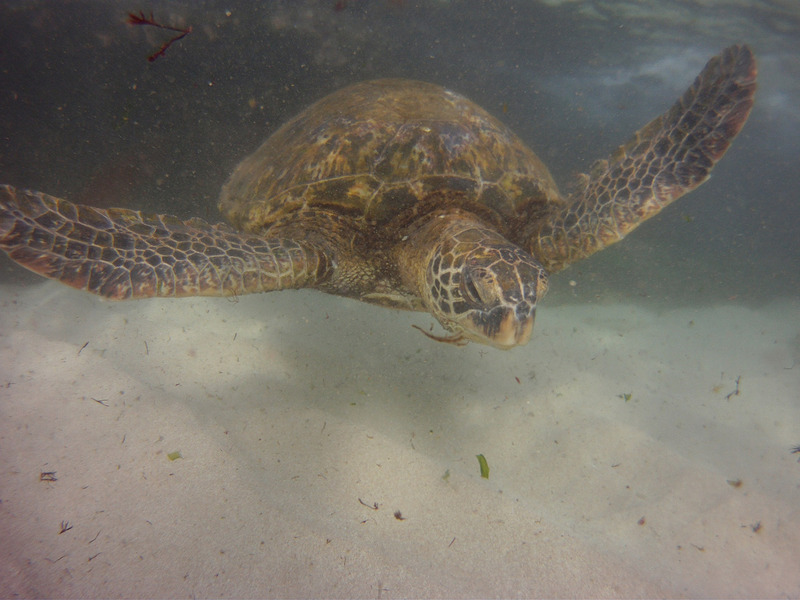 I am also very active in the ocean and surf community by volunteering time with non-profit organizations and beach cleanups. 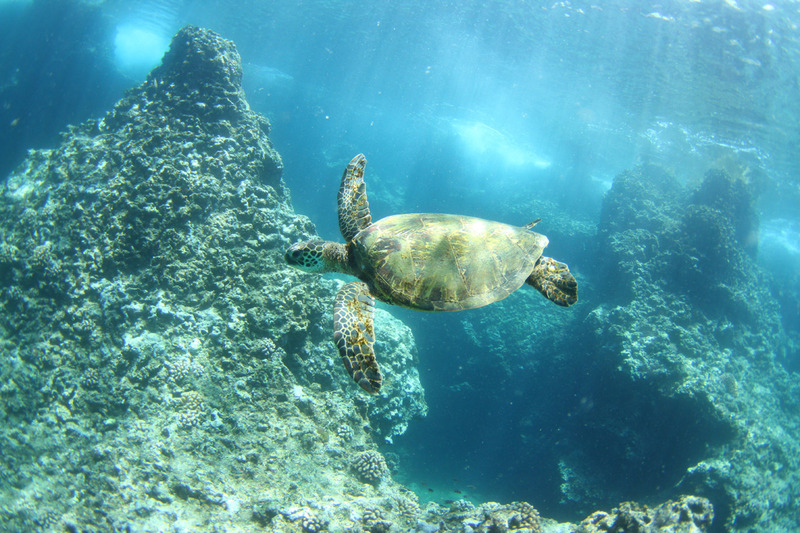 I love to spend most of my time in the water and would love to also take you out to experience the beautiful waters of Hawai’i and help spread the Aloha spirit that I felt when I first arrived. A. 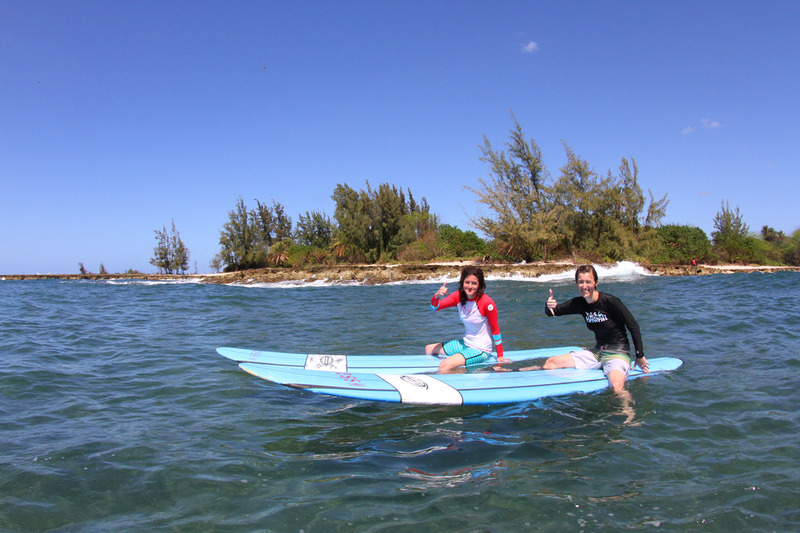 We teach surfing lessons at Puaena Point and Chun’s Reef Beaches. 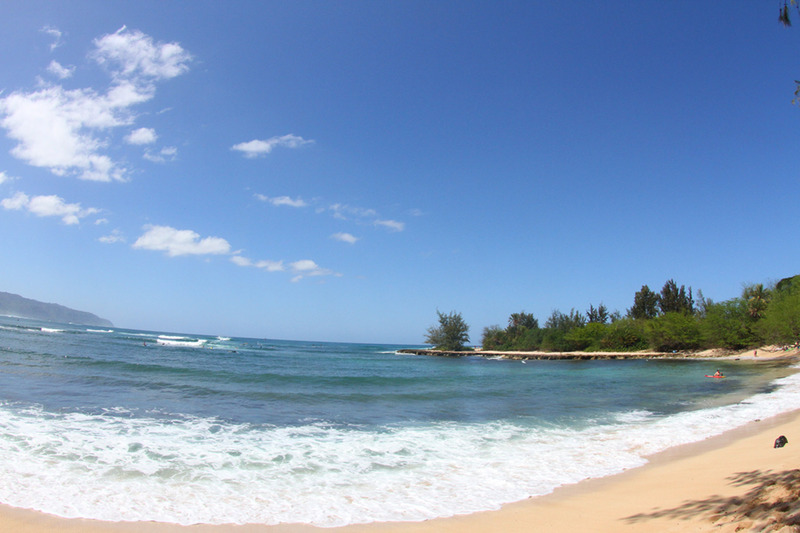 Both locations are on the North Shore of Oahu and about 3 miles apart. When you book your lesson we will send you an email with maps and directions. You can also enter either name in Google Maps and it will show up. Q. Is it safe to learn to surf on the North Shore of Oahu year round? A. Yes. On bigger days we teach you to surf in a cove protected from the larger open ocean swells. 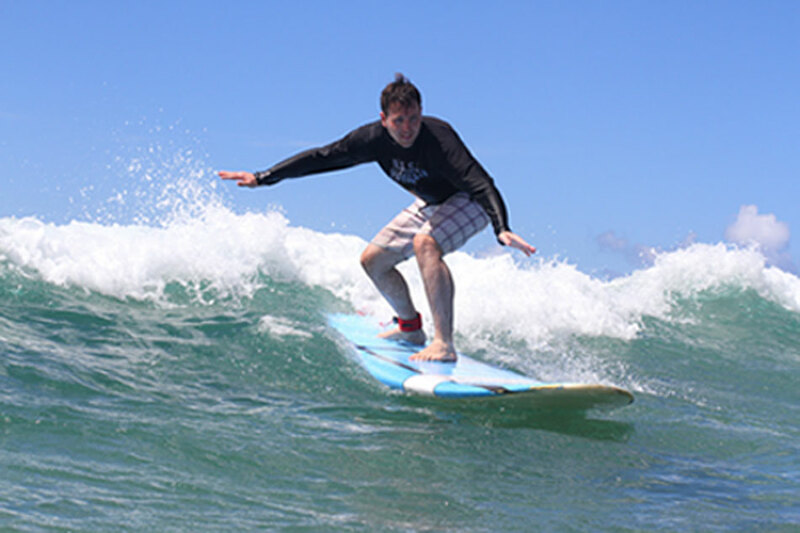 We evaluate the surf each day and take you to the safest & most fun location for your surfing lesson. A. 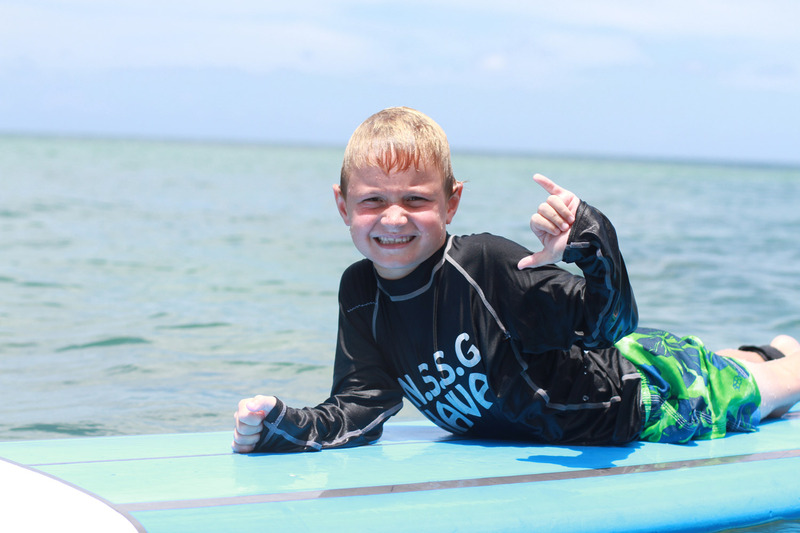 We offer private surfing and stand up paddle board lessons (one student to one instructor), semi-private lessons (two students to one instructor), family private lessons (three students to one instructor), and public group lessons (four students to one instructor). These can all be one or two hour lessons except for the family private lessons which are only offered for two hours and the stand up paddle board lessons which are all one and a half hours long. A. We teach students as young as 4 years of age and up to any age. We do require anyone under 8 years old to book one of our private or tandem lessons, family private is OK too. Q. 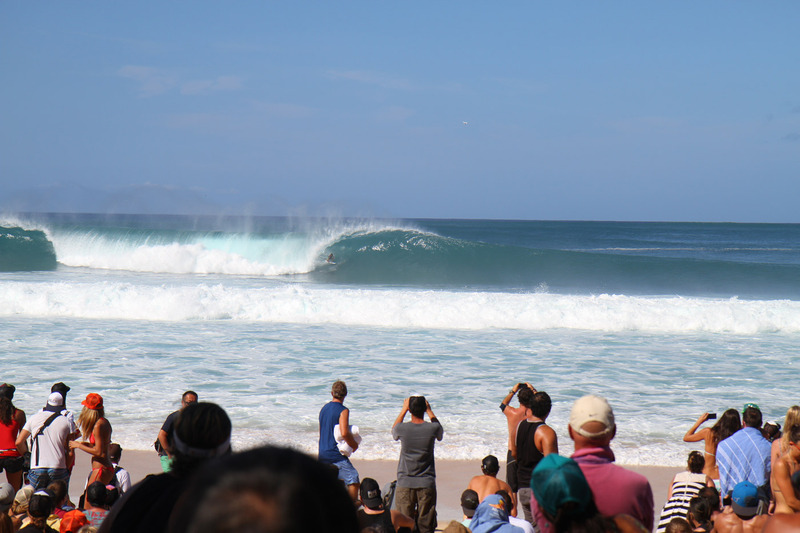 Why is the North Shore of Oahu an excellent place to learn how to surf? A. There are a number of reasons. We teach you to surf in a cove protected from the larger waves. The water is cleaner then Waikiki and the beaches are real. The crowds are also substantially lighter and friendlier then in Waikiki. The North Shore is the SURFING CAPITOL of the WORLD, learning to surf out here is about as authentic as it gets. Q. How long will it take to learn surfing? A. Most people will be able to stand up on their first surfing lesson and some people will be able to catch waves by themselves on their first lesson with coaching. However learning how to read waves, when and where to paddle into them takes time. 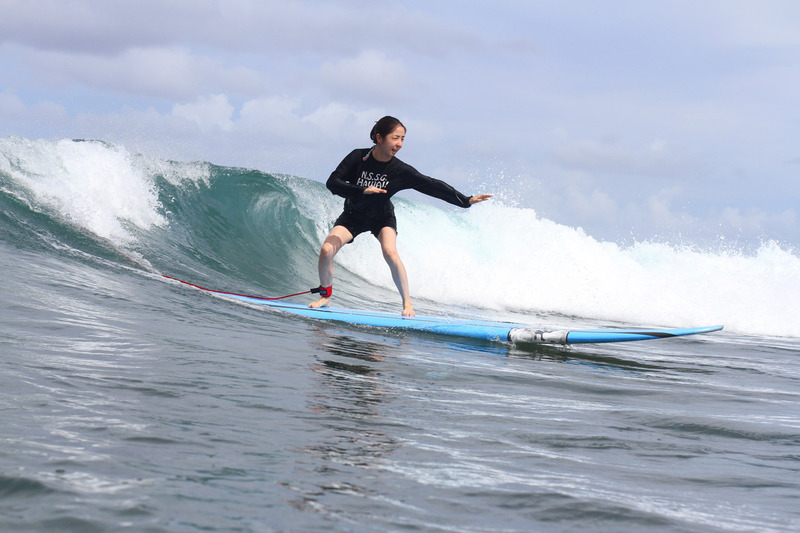 Depending on your goals…a minimum of 3 surfing lessons is a good start if you plan on taking up the sport. Q. Do you teach guys too? A. Yes, about half our students are male. A. Our group lessons start at 3 people and never exceed a 4:1 (four students to instructor) ratio. A. Yes. It is included with all surfing lessons and packages. A. Make sure to bring your swimsuit, towel, sunblock, and water to drink. Q. Can I use my own surfboard? A. Yes, but if this is your first time taking a surfing lesson we suggest you use our boards, they have soft tops and are especially made for learning how to surf. A. The North Shore is blessed because there are safe ridable waves virtually every day. In the Summer when it’s smaller there is a trade wind generated swell that wraps around the coast bringing safe and fun 1-2 foot waves. And of course in the Winter when the surf is larger we teach in a protected cove with small 1-2 foot waves. In the rare case of ocean conditions being un-ridable we can reschedule your surfing lesson or refund your lesson money. Q. What’s the water temperature like in Hawaii? 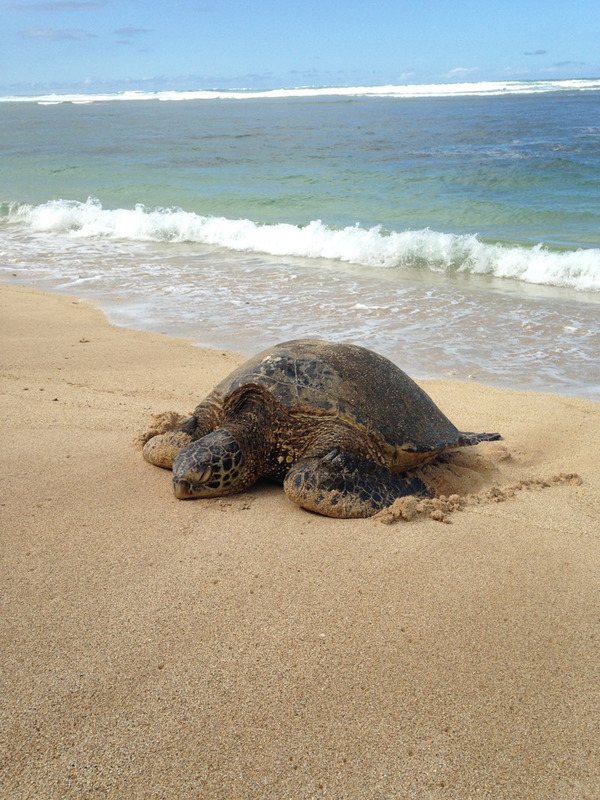 A. Hawaii’s near-shore water temperatures remain comfortable throughout the year. The average water temperature is 74º F. (23.3 C), with a summer high of 80º F. (26.7º C). Q. What’s the air temperature like in Hawaii? A. The average daytime summer temperature at sea level is 85º F. (29.4 C) while the average daytime winter temperature is 78º (25.6º C). Temperatures at night are approximately 10º F. lower. Q. Can I learn to surf when it’s raining? A. Yes, we teach in the rain since we will be getting wet anyway. We do offer you the option of rescheduling or will refund the surf lesson fee if it’s raining at our lesson location and you don’t want to surf in the rain. A. Seeing is of course helpful when learning to surf, although perfect vision is not required. We recommend that you bring an extra set or glasses in case you lose one or both and need to drive after. However, people who use contacts don’t loose them if they kept their eyes closed under water. Q. What should I do if I get seasick? Q. What kind of swimsuit should I wear for my surfing lesson? A. Something comfortable. We provide surf jerseys/rashguards. Q. Can I keep the equipment to use after the class is over? A. Yes, all lesson prices include the use of the surf board afterwards. Q. Do you provide transportation from Waikiki and Honolulu? A. Yes we do, transportation rates depend on the number of people in your group and start at $25 per person for groups of 4 or more. Please call or e-mail us for a quote. However, we strongly suggest you rent a car, it’s less expensive and a better way to see the island. You can also catch the public transportation system known as The Bus. It only cost $2.50 each way, but is a bit slow. Ask your hotel concierge for scheduling information. Q. Can you recommend a place for me to stay while on Oahu? A. 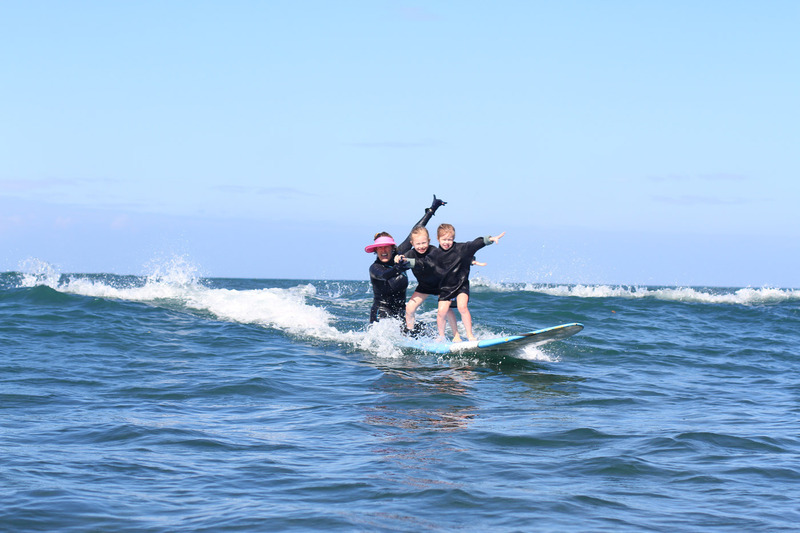 Yes, we can refer you to a variety of well priced vacation rentals – most of our surfing lesson students wish they had stayed on the North Shore of Oahu instead of Waikiki. Q. Are your surf instructors allowed to except tips? A. Yes, tips are greatly appreciated by our surf instructors. A. We accept all major credit cards and cash. The easiest way to book is by going to our Booking Page, or by calling us anytime at 808-637-2977. If we don’t pick up we will return the call ASAP.